(CN) – As the bulk of the nation swelters from one of the hottest summers on record, more Americans than ever believe the climate is changing, according to a poll released Wednesday. 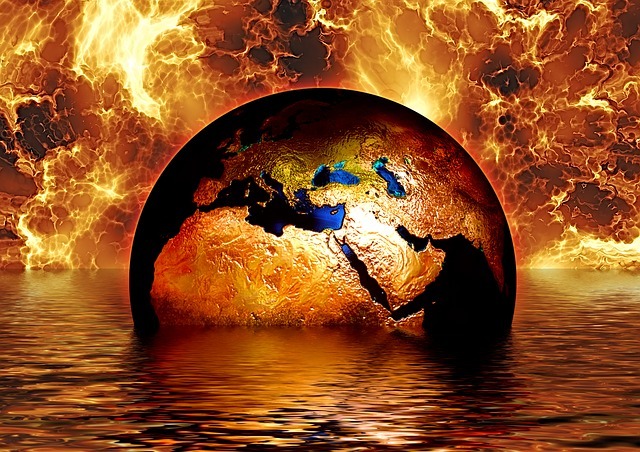 Nearly three-quarters – 73 percent – of survey respondents believe there is substantial evidence for global warming, according to the National Surveys on Energy and the Environment, the largest recorded percentage since the survey commenced in 2008. The survey by the University of Michigan and Muhlenberg College represents the 19th time that hundreds of people were asked their views on a range of issues pertinent to climate change. “This record level of acceptance of global warming came as the National Oceanographic and Atmospheric Administration (NOAA) announced that May of 2018 was the warmest in the continental United States since records began to be kept in 1895,” the study authors said in a statement Wednesday. The heat wave wasn’t restricted to the United States, as temperatures soared to records across the globe in late June and early July. In Siberia, the mercury rose into the 90s, an unprecedented weather event for the region. In Canada, about 70 people died as a heat wave struck the Arctic region of the nation. Such tangible weather events could account for the trends highlighted in the most recent poll results, the authors said. For instance, only 15 percent said there is no substantial evidence of climate change, the lowest number in the history of the survey. Despite the uptick in general acceptance of climate change, partisan factors account for an increasing disparity in the views held by Democrats and Republicans, the survey found. “In terms of acceptance of global warming the divide between Democrats and Republicans in the latest NSEE iteration was as large as anytime in the last decade with a 40 percent gap – 90 percent of Democrats think there is solid evidence of global warming while 50 percent of Republicans maintain this same view,” the study says. The same disparity holds regarding the cause of climate change. The latest poll found that 60 percent of respondents said humans are at least partially responsible, with 34 percent saying humans are the primary cause of warming surface temperatures. But the partisan breakdown is telling, as 78 percent of Democrats believe humans are at least partially responsible for climate change, while only 35 percent of Republicans hold the same view.